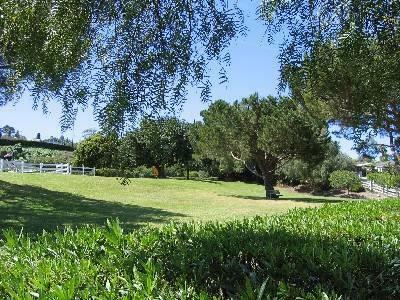 Rolling Hills Estates is a semi-rural city with a focus on an equestrian lifestyle. As you travel through the city you will see 3-rail fencing that borders bridle trails. This is obvious along Palos Verdes Drive North and can be observed at the rear of many homes in the City. There are about 16 miles of riding trails in Rolling Hills Estates and about 23 miles in the City of Rolling Hills where a special riders permit can be obtained for access to those trails. Riding rings are found in many areas of the Peninsula. In addition, Rolling Hills Estates Stable on Crenshaw Blvd. boards horses as does the private Empty Saddle Club which is located on Empty Saddle Road which features horse shows. The city holds an annual Mayor\'s breakfast ride and pancake breakfast followed by day-long activities that celebrate the City. The City allows up to 4 horses on suitable properties. Whether a property qualifies as a "horse property" depends on a number of conditions including adequate lot square footage and access to bridle trails. City Hall at the corner of Palos Verdes Dr. North and Crenshaw Blvd. maintains a "horse overlay" map at City Hall which shows which properties in the city are permitted to have horses and how many (with a maximum of four). There are many community parks in the city, including Ernie Howlett Park on Hawthorne Blvd. which as a number of baseball diamonds and a tennis club with 8 courts. Another city park is located on Highridge Road on top of the Peninsula near Ridgecrest Intermediate School. 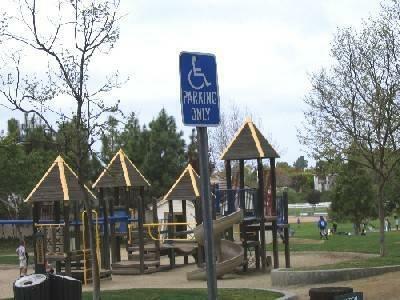 It offers a delightful playground for youngsters along with soccer fields and baseball diamonds for others. The Jack Kramer Tennis Club at 1 Montecillo Drive off Palos Verdes Drive North is a private 13-court equity club that is known for the lessons and guidance given to many outstanding athletes who turned professional. Club memberships currently sell for $27,000, with monthly fees of $122 plus $15 minimum for the snack bar. There is a low-cost trial membership available. For more information, contact the Club at 310-372-8488. A Swim Club membership is also available at the Jack Kramer Tennis Club for a fee of $3,000 plus monthly costs. There is a waiting list for membership in the swim club, but lessons are available to all. Two upscale gated communities of single-family homes are located on top of the Peninsula. One known as "Rolling Hills Park Estates" has two tennis courts for residents' use and a stable that boards horses for residents and non-residents. It has a riding ring and bridle trails that intersect with those of the adjacent complex, known as "The Ranch," which is a 24-hr. gate-guarded community with two entrances, one on Highridge Rd., the other for residents only on Crest Rd. The complex has no association recreational facilities. A portion of Rolling Hills Estates is devoted to townhomes, which have exclusive use of the Association\'s swimming pool. The gated community has two entrances, one on Hawthorne Blvd., the other on Highridge Rd. "The Terraces" is a low-density complex of approximately 7 townhomes per acre with a 24-hr. gate-guarded entrance off Highridge Rd. The community offers two regulation tennis courts, five swimming pools and spas, and a children's playground for residents' use. Rules found in the CC&Rs for condominium associations vary substantially as to who is responsible for maintenance, the unit owners or Association. In some, the Association is responsible for maintenance and replacement of roofs and for termite fumigation, when needed. In The Terraces, for example, homeowners are responsible for these two items. Thus, the monthly assessment does not include funds for future repairs on these items. As a buyer, you should compare the CC&Cs for differences. 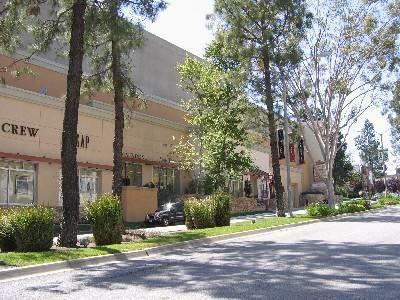 Peninsula Center has two open-air malls and several strip shopping centers such as the one pictured below. Most services needed by residents of the Peninsula can be satisfied on "The Hill." The majority of the commercial area on top of the Peninsula (known as Peninsula Center) is within the city of Rolling Hills Estates. 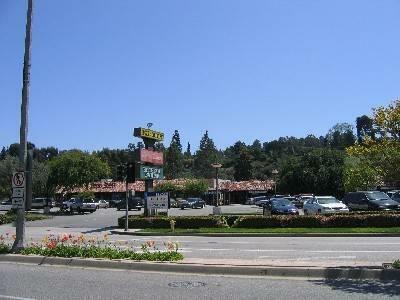 This commercial development includes the one shown below called "The Avenue of the Peninsula." 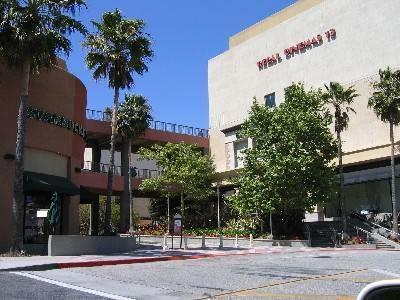 It is the largest of the Peninsula Center malls and houses an ice-skating rink on the ground level, accessible from Silver Spur Rd., nine theaters on the upper level with access from the second and third levels of the parking structure plus many shops and restaurants. 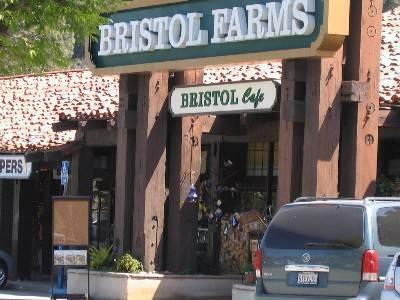 Peninsula Center has a Pavillions Grocery Store and a Bristol Farms, plus other needed service and support businesses for the community. Additional services and a Ralphs Fresh Fare Market are available nearby, including a car wash at the Highridge intersection with Hawthorne Blvd. and two other service stations on Hawthorne Blvd. at the intersections of Silver Spur and Granvia Altamira in Rancho Palos Verdes. The focus of the commercial area of Peninsula Center has been under review and change by the City Planning Department, which has allowed rezoning of some properties to permit mixed development under what is called "a village plan." A number of commercial parcels have been razed with approval for the developers to construct either high-density housing focussed on the needs of retiring local residents or mixed development with both commercial and residential components. Recent opposition from the community has caused the City to put future plans for this type of development on hold. Residents voiced concerns about increased traffic causing unacceptable congestion on existing roadways. 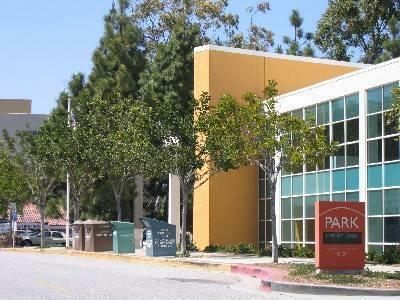 The Palos Verdes Library is a valuable asset to the community providing services to all ages and in three locations. 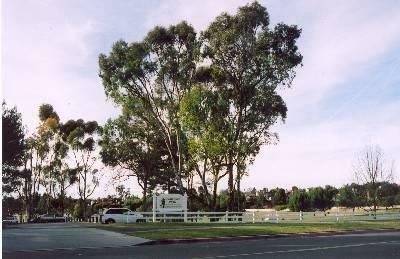 The main library is on Deep Valley Drive in Rolling Hills Estates. It has both rooftop and basement parking and an adjacent Annex rented to supplement the main facility and allow groups and teens less restriction on noise level. Library patrons have on-line access to library materials from home! Most resources are available on-line after patons properly log onto the site. In addition, there is free access to live tutors to help students analyze and solve perplexing problems. The City offers a valuable handbook for residents that covers most issues related to City services and requirements imposed upon residents. It can be accessed from the website at the link shown below. Of particular interest to anyone considering adding to or modifying a residence is the information on "Neighborhood Compatibility" on page 17 of the 25-page handbook.